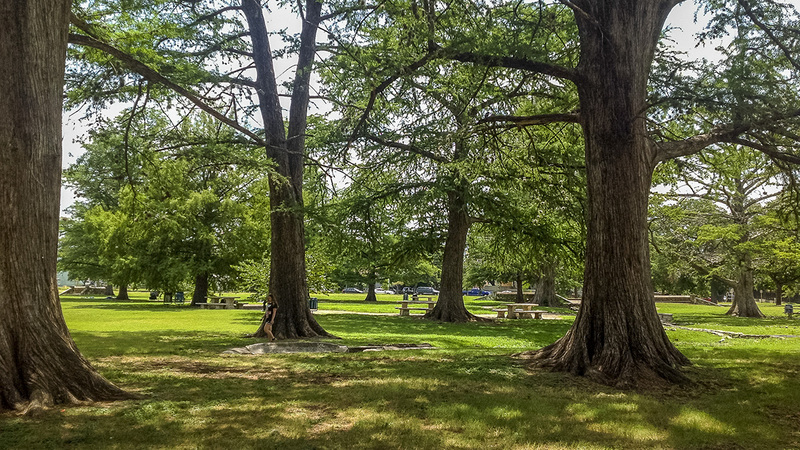 Located approximately two miles northwest of downtown, this 46-acre square, designated as commons by the Spanish monarchy in 1729, is considered among the oldest public parks in the United States. 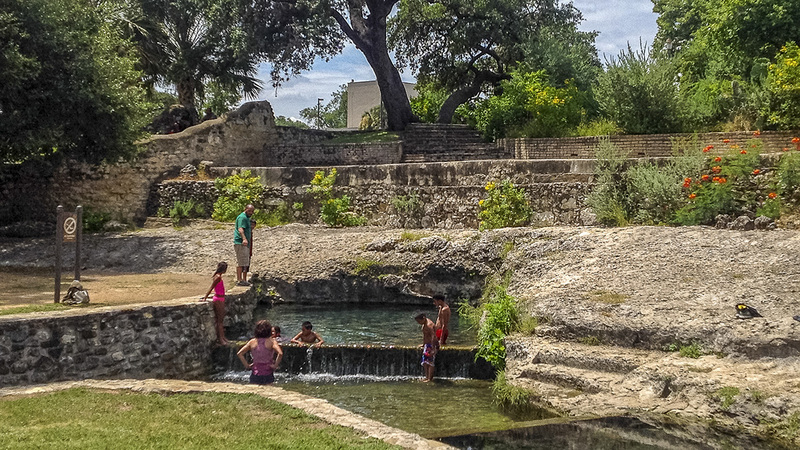 Centered around a natural spring flowing from a terraced outcropping of limestone, this critical water source was discovered by Spanish explorers in 1709, although it had been known to Native peoples as early as 9000 B.C. 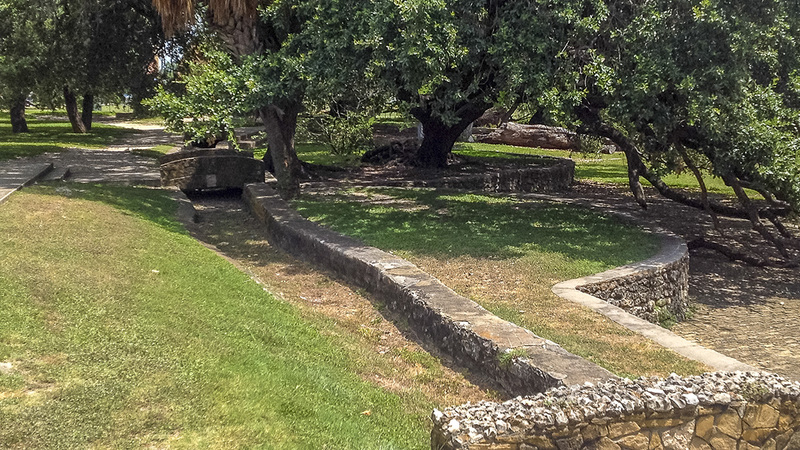 In 1851 San Antonio city surveyor Francois Giraud established the site’s modern-day boundaries between San Pedro Avenue, West Myrtle Street, North Flores Street, and West Ashby Place. 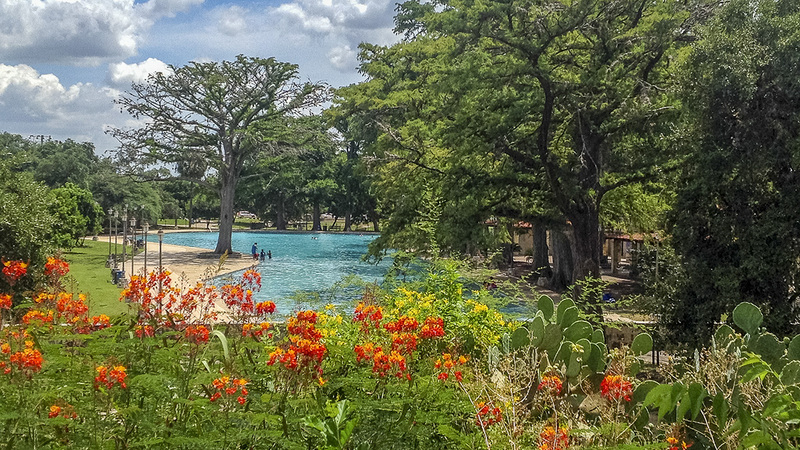 From 1864 to 1874, John Duerler created a lush Victorian Picturesque landscape featuring five shallow ponds spread out in the shape of a fan just west of the naturally occurring lake south of the spring. 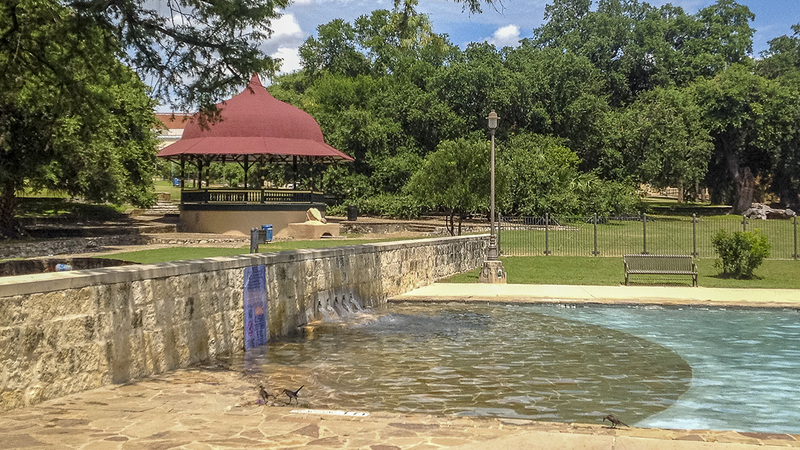 By 1878 the park became the northern terminus of the city’s first mule-driven streetcar (which extended south to Alamo Plaza) and contained several attractions, including row boats, a horse-race track, a small museum, and a zoo. 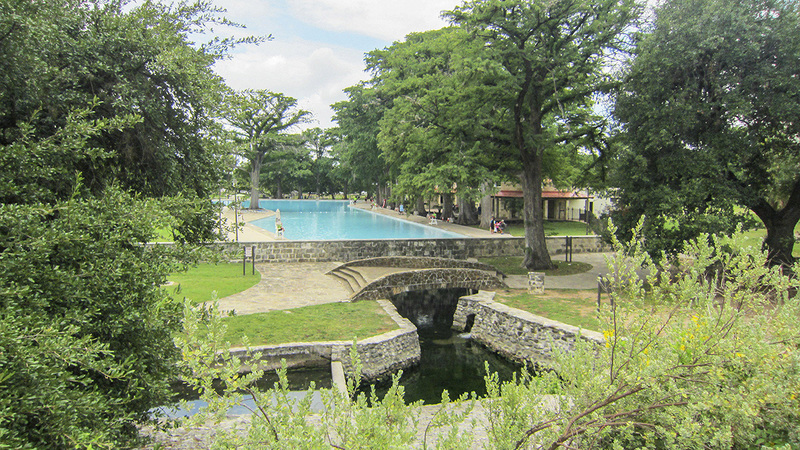 During the 1920s, a large swimming pool replaced the lake south of the spring. 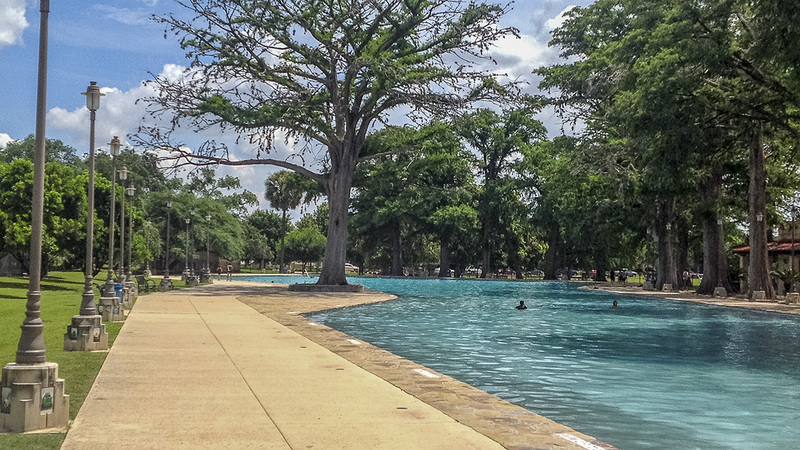 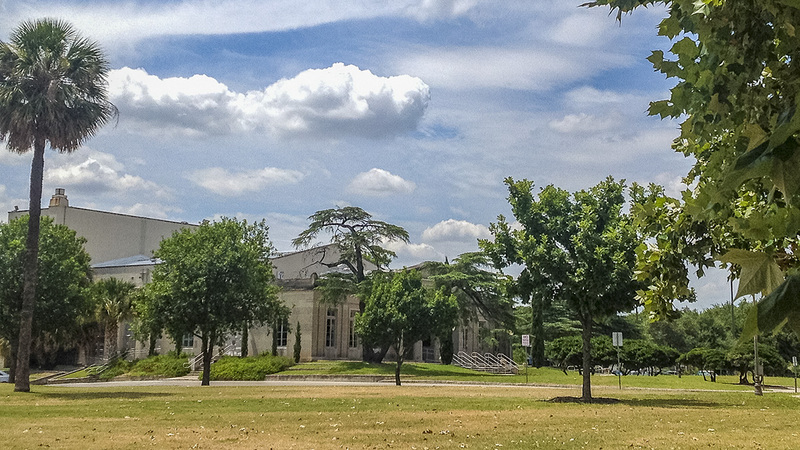 Today the pool is shaded by large cypress trees and features a pool house to the west. 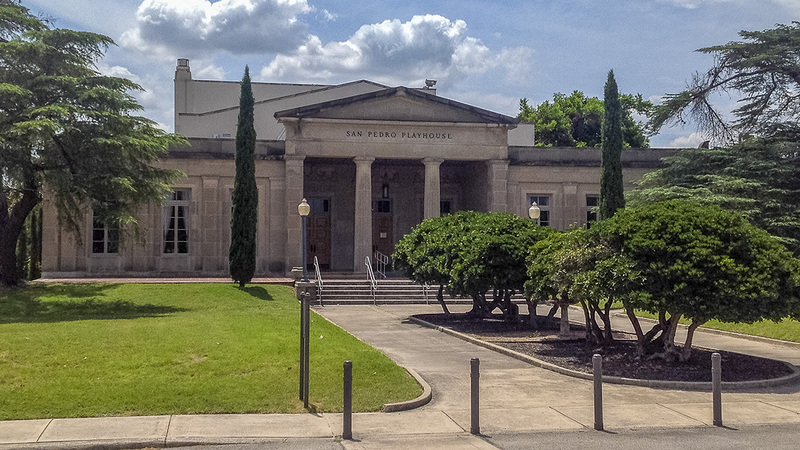 The San Pedro Library and San Pedro Playhouse were constructed in 1929 on the eastern and northwestern edges of the park, respectively. 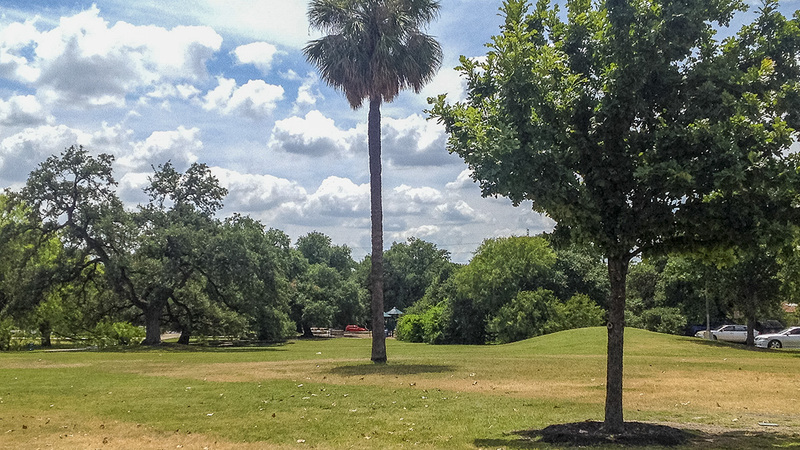 Recreational facilities were expanded during the 1950s on the eastern half of the park, including a large tennis complex to the north and two softball fields to the south. 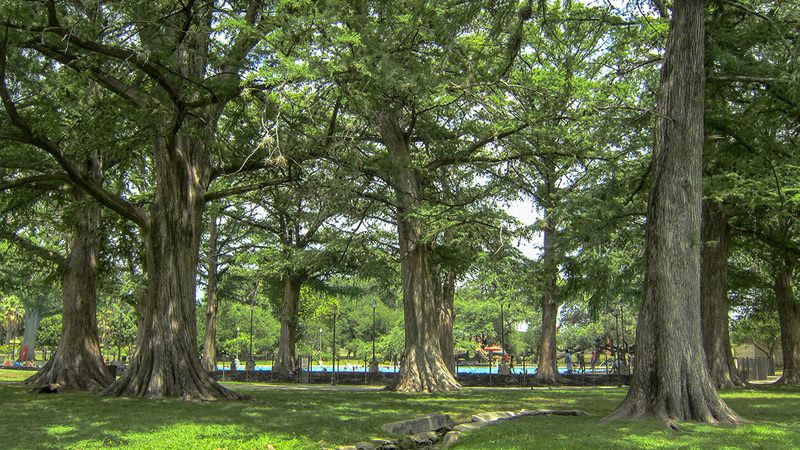 Curving concrete footpaths connect the park’s landscape features through an expansive lawn punctuated by mature shade trees. 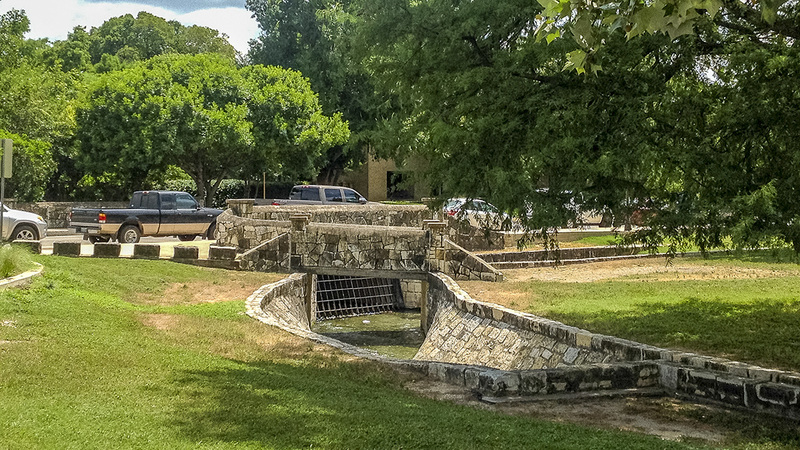 San Pedro Springs Park was listed in the National Register of Historic Places in 1979.